One Sunday Afternoon made over in Old New York for The Strawberry Blonde. From director Raoul Walsh for Warner Bros. from a script by the Epstein brothers. Starring James Cagney, Olivia de Havilland, Rita Hayworth, and Jack Carson. Filed Under: Movie Reviews Tagged With: 1890s, 1941, Alan Hale, Comedies, George Reeves, George Tobias, Jack Carson, James Cagney, James Hagan, Julius J. Epstein, nostalgia, Olivia de Havilland, Philip G. Epstein, Raoul Walsh, remakes, Rita Hayworth, Romance, Romantic Comedy, Una O'Connor, Warner Archive, Warner Bros.
A collection of 8 vintage newspaper ads, each representing an Olivia de Havilland movie playing on TCM during the second week of their centennial Star of the Month celebration, July 8-9, 2016. 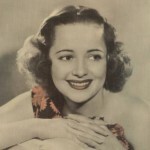 Posted on July 1, 2016, Olivia de Havilland’s one hundredth birthday. 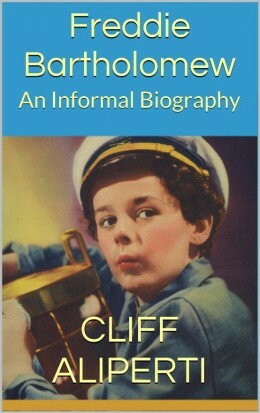 Includes “Picto-Sked” displaying TCM’s opening night lineup of Olivia de Havilland movies, plus other images. A biography of Oscar winning actress Joan Fontaine including a review of her 1978 autobiography No Bed of Roses plus a preview of Fontaine-day on TCM’s Summer Under the Stars, August 6, 2013. Olivia de Havilland is Smokey Allard in RKO’s Government Girl (1943). Far from perfect and suffering greatly in comparison to other home front titles such as The More the Merrier, Government Girl is still an interesting slice of history. 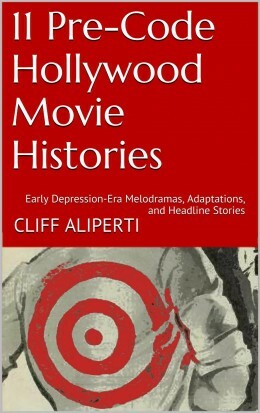 What I liked and disliked about Errol & Olivia Ego & Obsession in Golden Era Hollywood by Robert Matzen, plus a look at four older classic movie biographies that I’ve recently read. My brief first impressions of Princess O’Rourke (1943) written soon after first viewing. 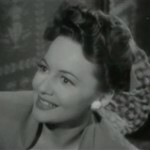 Romantic comedy starring Olivia De Havilland with Robert Cummings. Filed Under: Movie Reviews Tagged With: 1943, Charles Coburn, Harry Davenport, Jack Carson, Jane Wyman, Minor Watson, Olivia de Havilland, Princess ORourke, Ray Walker, Robert Cummings, Romantic Comedy, Warner Archive, Warner Bros.
A look at my own favorite action adventure movie of all time, Captain Blood starring Errol Flynn and Olivia de Havilland, both in breakout roles. A tale of piracy, slavery, patriotism and romance, Korngold’s score keeps you cheering for Blood throughout. Far from being simply the greatest swashbuckler since Douglas Fairbanks, Sr., and with all apologies to Tyrone Power fans, none to top him since, Flynn played in variety of roles, and played them well.